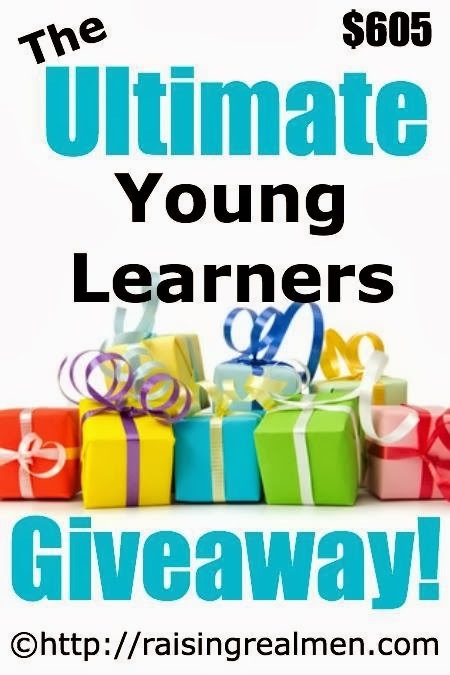 Footprints in the Butter: Ultimate Young Learners Giveaway! As part of the launch of Hal and Melanie Young's new book, My Beloved and My Friend, they are doing a number of big giveaways. I reviewed this book a while back, and it is even better now. There are a few different giveaways going on this week, so go poke around and see if you can find some of the others. This one focuses on Elementary ages, with some pretty neat products like Wonder Maps from Bright Ideas Press. Our second HUGE giveaway is a collection of products we believe are just perfect for Homeschooling elementary aged students! This is another FABULOUS collection of products you are sure to love!